In a medium where spy stories are mostly inspired by the adventures of James Bond, Activision’s Spycraft: The Great Game offers a more traditional take on the espionage genre, where agents do more thinking than shooting and spend more time at a computer than flirting with femme fatales. As a CIA case officer, your mission is to track down a terrorist organization made up of former spies who are planning to assassinate the US president. The result is one of the few games in which FMV really, really works, featuring well-written dialogue performed by professional actors. The authenticity of the story is further enhanced by the input of a former CIA member and former KGB operative, both of whom make cameo appearances in the game. Despite not being a 007 game there is a gunfight or two, but the somewhat simplistic fights take a back seat to the puzzles, which are in a category all their own. Trace a bullet trajectory back to its origin to catch a glimpse of an assassin’s face. Doctor a fake photograph to convince a prisoner you’ve captured her boyfriend. Isolate ambient sound effects in the background of a phone conversation to pinpoint where the caller was phoning from. The list goes on. 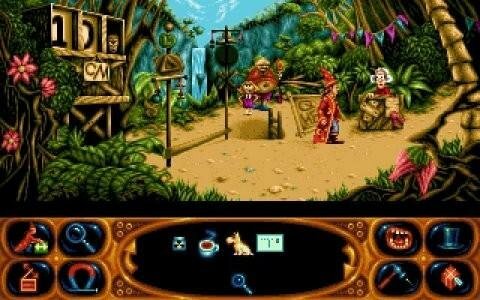 Almost every puzzle is unique; completely different from the challenges of most other adventure games made before or since. 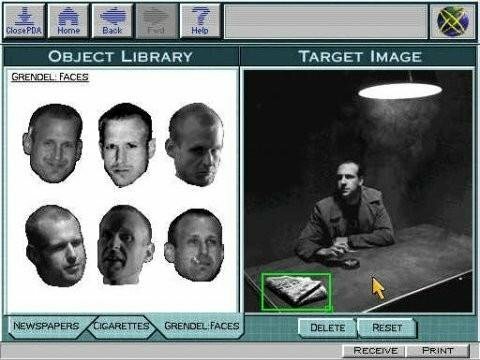 And because most of the puzzles take place on your avatar’s computer interface, it’s easy to feel fully immersed in the game, as if YOU are the CIA agent sitting in an office at Langley trying to research and track down enemy spies. While other games simply recycle formulas from the past, this 1996 spy thriller stands on its own as an adventure completely unlike any other. A man being accused of a crime he didn’t commit and trying to prove his innocence is a staple of thriller fiction. Far less common in Presto Studio’s 1995 The Journeyman Project: Buried in Time, the accused man and the one trying to prove his innocence are separate versions of the same man, as time agent Gage Blackwood enlists his younger self to investigate. As in the first game of the series, players end up time-hopping, though now you can travel into our own history as well as the future history of the 2318 setting. Hunting around the lovingly rendered historical settings, from a Mayan pyramid to a besieged castle in medieval France to a studio of Leonardo da Vinci, adds to the fun of time travel, even if direct contact with the inhabitants is still forbidden. The truth behind the events leading to Gage’s arrest build into a solid story with a dramatic conclusion. For all that, there is one thing that everyone who has played this game will remember most: the artificial intelligence known as Arthur. Once you have found him, Arthur integrates himself into your suit and serves as a companion for your journey. It would have been all too easy to become irritating, but a combination of good casting and well-written, witty dialogue make him a joy to have around. With a love of 20th century culture, his banter is full of clever references and parodies of the player’s own era. Arthur is also much more than a comedy sidekick. His complex computer brain and database storage help him serve as both a hint system and a reference for your historical adventures. Add in a slick soundtrack, and this is one adventure that definitely shouldn’t stay buried in the past. After the success of Simon the Sorcerer, it was only a matter of time before AdventureSoft took us on another trip in the magic closet. Sure enough, two years later we were treated to The Lion, the Wizard and the Wardrobe. In a lot of ways, Simon the Sorcerer II is a far more accomplished game than its predecessor. The setting was drastically expanded, as Simon’s adventure branches to all sorts of locations: cities, dungeons and steampunk castles are all there to be explored. A wider cast of characters was incorporated, like Goldilocks, Um Bongo and the three witches, plus many returning favourites like the swampling. The humour is even sharper as well, worked into a story that flows far better than the original – Simon has much clearer directives than stumbling from one scenario to another on his quest to rid the world of the evil Sordid again. For all its enhancements, the sequel wisely didn’t reinvent what had been so successful the first time, retaining a similar high quality cartoon look and sound. Unfortunately, this also translated to some questionable puzzle design, which again met with mixed reactions for its obscurity. Simon himself underwent some changes – such a blatantly abrasive character took a lot of getting used to in the first game, and took even more the second time around. The dialogue is still well written, but a new voiceover gave birth to an even more snide delivery of the lines that didn’t sit well with all gamers. Thankfully, the diverse supporting characters proved more than capable of elevating the script to a more palatable level, ensuring that Simon II is generally a hoot to play through, foibles be damned. In science, a penumbra refers to the softer, hazy region around the edge of a shadow. But in Penumbra: Black Plague, Swedish horror specialists Frictional Games brought their emerging formula sharply into focus. 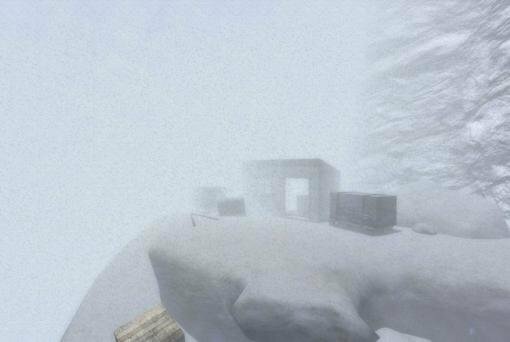 Rejoining the hero from Penumbra: Overture, the improved sequel charts Philip’s quest through an abandoned Antarctic research base in search of his father. Of course, being a horror title, he's far from being alone, but Black Plague wisely ditched the clumsy combat from the first installment in favour of a powerless Philip running away or hiding from threats. Being defenseless makes for an intensely terrifying, anxious experience that is guaranteed to raise your pulse without requiring twitch reflexes to succeed. In the puzzle department, Black Plague didn't disappoint either, using a realistic physics engine for some ingenious but natural environmental conundrums. The game is played in first-person and controlled like a shooter, so even simply searching for items feels like a more tactile, engrossing experience than simple pixel hunting. The gameplay and story work well together, but top billing nevertheless goes to the astonishing atmosphere behind them – behind, above, around, everywhere. “Immersiveness” is an overused word when it comes to games, but here it really does apply. The you-are-there perspective, the dark, stylish graphics, and the unnerving audio help create a horror experience that's a dream – or maybe a nightmare – for fans of scary adventuring. It’s a rare designer who is instantly recognizable by name, but Jonathan Boakes is just such a man. Before 2002, he was a complete unknown in the industry, but that all changed with the release of Dark Fall. 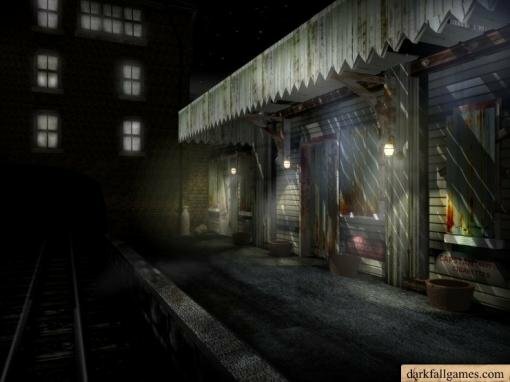 Self-financed, created largely on his own, and originally self-published, Boakes’s debut supernatural mystery sent players alone into an abandoned English hotel and train station, where people have been disappearing for decades. Except you’re not alone at all, as restless spirits of those who vanished on the premises still linger there, seeking help defeating the undefined darkness that took them. Though the ghosts themselves are benevolent, the game is still dripping with eerie atmosphere. The phone in reception rings with messages from the other side whenever you walk in. Light orbs zoom through the halls as the lights blink out. There are constant reminders that something is out there in the darkness, watching, though you may never see what it is. The Dowerton train station and hotel are like characters of their own, reflecting the many different time periods they have seen, from WWII posters plastered in the bathrooms to high-tech ghost-hunting gadgets left behind by the most recent victims. Each room reflects the personality of its final occupant, and the events surrounding their disappearances are glimpsed through the many journals and letters lying around. The sound is superb, from the creak of stairs to the sporadic whispers around you, and the many puzzles fit well into the story, several of which require observant note-taking elsewhere to solve. It’s a little rough around the edges and clearly a low-budget endeavour, but the craftsmanship that went into this self-proclaimed “labour of love” is abundantly evident. Not long after its enthusiastic reception, it was snatched up by a publisher and subtitled The Journal, and the series has since gone on to inspire not only two sequels by Boakes, but numerous other indie horrors as well. Dark Fall is an impressive achievement for one man, and its legacy demands its inclusion on the list.